After writing my blog, Treat Us Like a Client: The Power of Design, From a Non-Designer, I was asked if there was anything that I would have done differently when planning our new Gensler office space in La Crosse, Wisconsin — a process during which the tables were turned, and we became the client, rather than the design team. My initial reaction was, no, I wouldn’t have changed a thing. 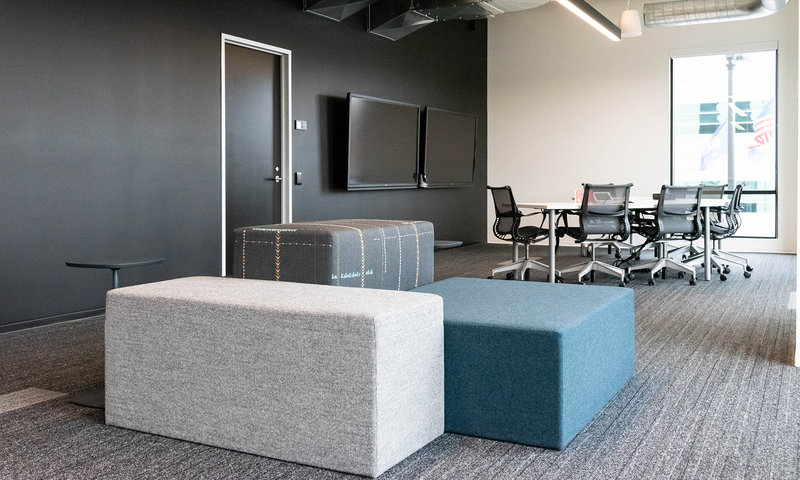 But, now that we’ve been in our space for a year, I have identified three things I would have done differently and that I encourage others to consider as they are planning a new office. In hindsight, I would have started planning earlier and included an audiovisual consultant every step of the way. AV equipment and logistics may impact certain aspects of the design, so planning ahead is key. Prior to moving, I would have set up and tested multiple configurations of the equipment. Getting feedback from multiple people would have helped to fine tune the setup. Building in a time for change management and user training of the new systems would have also helped get us to a system that truly “just works” for people. 2. Noise: think about how the space will be used, and the impact of sound. Early on, the design team recommended sound absorption in our conference rooms. We put it on the back burner and then ultimately forgot about it — until somebody mentioned on a conference call that the room we were in sounded hollow, like an empty new home. Also put on the back burner was a sound curtain, which would provide the ability to close off a large, open configurable workspace. In this area, two large 70” touch screen monitors are used for video conferencing with remote staff in whiteboarding collaboration sessions. It’s a very loud area that can be heard throughout the office. My advice: really think about how each space will be used and the impact for both remote workers on the phone and employees working around the area. 3. Experiential management: incorporate the experience into your culture. In a collaborative work environment, it’s the little things that you don’t really think about but yet find that they matter: dirty dishes in the sink, leaving spaces ready for the next person, pushing in chairs without scuffing the arms — the experience of the space. We saw this move as an opportunity to up our game and make conscious choices to keep our space looking nice. If I could go back in time, I would have incorporated more of the experience of the space into our culture early on. Everyone is busy, and it takes a concerted effort to make things like conference room etiquette and dress codes an ongoing priority in peoples’ busy days. It’s something that we still work on and it will likely continue to be a focus because it matters. When everybody pitches in to keep things looking nice, the space is always client-ready and the experience is clearly something everybody is proud of. The space becomes a very powerful recruiting tool. Throughout our office move, one thing that hasn’t changed is my belief in the power of design. This belief is grounded in research. Our 2016 U.S. 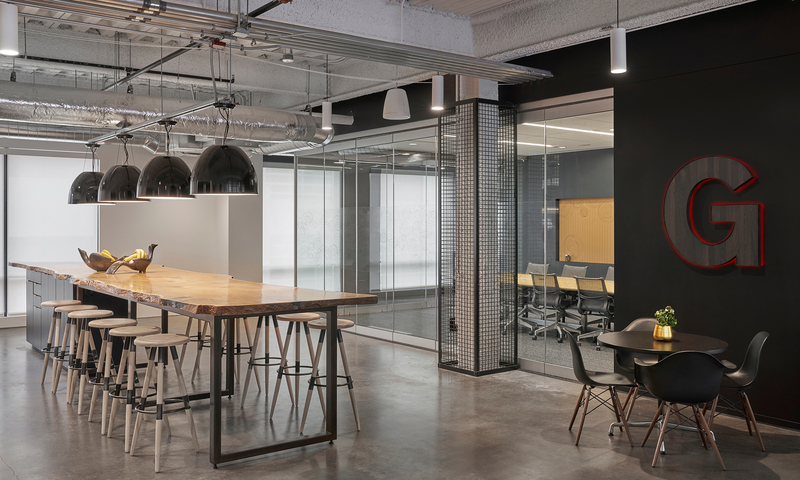 Workplace Survey, which surveyed 4,000 U.S. workers across 11 industries, found that great workplace design drives creativity and innovation. One year in, I still feel the impact of our new workspace. It is so much more than beautiful finishes alone. It tells a story of culture and values. It tells the story of us. Want to learn more about how the workplace environment impacts overall employee experience? Download our 2016 U.S. Workplace Survey. Joan Meyers is the managing director of Gensler’s La Crosse office. She guides her team in the development of applications and platforms that support space and occupancy management for corporate real estate and commercial property measurement. She is passionate about helping clients capture and maintain accurate data through Gensler’s proprietary solutions, Wisp™ and Observe™, and leveraging that data to inform strategic decision-making. Contact her at .